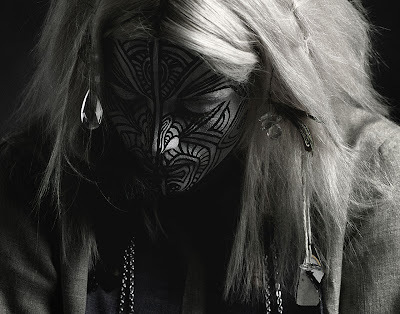 Among the springs new releases, the one that excites me most is Karin Dreijer's new solo project Fever Ray. If you didn't know Karin is the second half of the sibling duo The Knife that has been hyped all over the world ever since José Gonzales decided to cover their song Heartbeats. According to what i heard, the album came to be after Karin gave birth to her second child and spent nights and days awake. It resulted in bits and pieces that eventually formed into an entire album. I have been listening to it repeatedly the past week on Spotify, and i must say that i like it a lot. At first its very similar to The Knife, but without Olof's techno beats, but after a while it becomes more and more interesting and i keep hearing great lines like: When I grow up, I want to be a forester, run through the moss on high heels or the chorus from If I had a heart: if i had a heart i could love you, if i had a voice i would sing, after the night when i wake up, i'll see what tomorrow brings. Its brilliance, with a great and mystical voice. She will be the big hype this spring and she is getting great reviews from both fans and critiques. So, check it out, you wont be sorry. Check out FeverRay.com for more information.